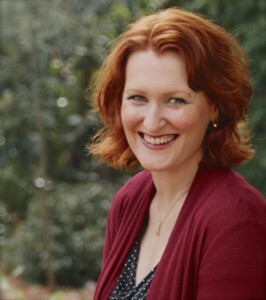 Award winning author, Leisl Leighton, is a tall red head with an overly large imagination. As a child, she identified strongly with Anne of Green Gables, and like Anne, is a voracious reader and born performer. It came as no surprise to anyone when she did a double major in English Literature and Drama for her BA, then went on to a career as an actor, singer and dancer, as well as script writer, script doctor, stage manager and musical director for cabaret and theatre restaurants (one of which she co-owned and ran for six years). After starting a family, Leisl stopped performing and instead, began writing the stories that had been plaguing her dreams. Leisl lives in the leafy suburbs of Melbourne with her two beautiful boys, lovely hubby, overly spunky dogs and her son’s dog-like cat. She is addicted to the Syfy channel and her shelves are full of fantasy, paranormal, Sci-fi and romance books and Blue-Rays. She sometimes sings in a choir, has worked as a swim teacher, loves to ski and horse ride, can talk the hind leg off a donkey and has been President of Romance Writers of Australia from 2014-2017. Congrats Leisl, beautifully designed by your hubby! Love the butterfly superimposed on angel wings – very cool. Hi Frana. Whilst I would love to take credit for the artwork, Leisl actually found the theme and I just just helped her to get it up and running. I do agree though – very cool! I am reading Dark Moon and I am liking it so far! I got in from NetGalley. I will be doing a review of it & I would love to put it on your Facebook, but I can’t find one for you. I will also post it on RWA and Destiny Romance Facebook. Do you want me to post it here? Please let me know! Thank you so much for reaching out to me, Patty. I’m so thrilled that you are enjoying Dark Moon. I have sent you an email with links to my FB page etc. I’m looking forward to reading your review. Once you’ve recieved my email and written the review, just email me the link and I’ll post it on my blog. Thanks once again for letting me know how much you’re enjoying Dark Moon. It’s made my day.